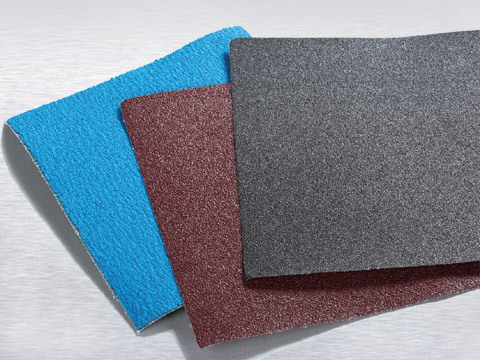 Abrasives in general are simply rough materials that are used to shape or finish work pieces, such as the sandpaper, it is made of abrasives in sand paper manufacturers. Coated Abrasives that vary in physical and chemical compositions are commonly used for grinding, polishing, buffing, honing, cutting, drilling, sharpening, lapping, and sanding. Simply, in accordance with the difference in hardness or roughness between the abrasive itself and the material it is being used on, with the abrasive generally being the harder of the two materials, they are widely used in quite many applications. Generally, the harder the abrasive, the harder and deeper it will cut into a substance. While some external factors, like grain size adhesion between grains, contact force, loading, and the use of lubricants and coolants, can affect the speed and effectiveness of the abrasion as well. Abrasives can be either classified as natural or synthetic. Abrasives made from natural minerals have been generally known to be more effective, although advancements in technologies is decreasing the gap between the two types. In fact, because natural minerals such as calcite, emery, diamond dust, corundum, garnet and sandstone are either rare or hard to find, subsequently leading to the creation of synthetic materials, such like borazon, ceramic aluminum oxide, ceramic iron oxide glass power, steel abrasive, to be used in their place. How to Take Precaution and Protection of China Grinding Wheels?